The Dodgers are going to the World Series for this first time since 1988. 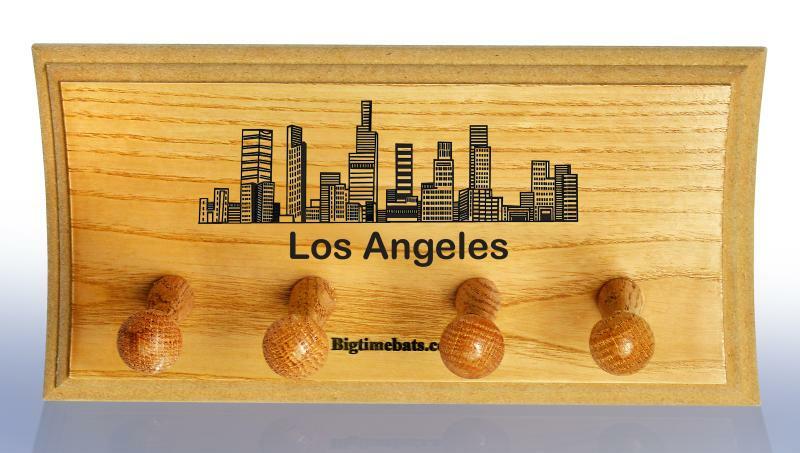 To help fans celebrate a great season we are pleased to offer this Special NL Champions Two Bat Set with custom LA Skyline Bat Display Rack. 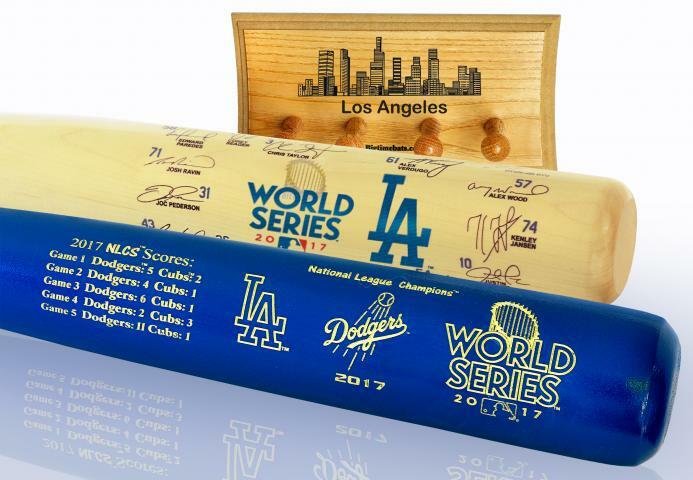 Each set includes one (1) Louisville Slugger Two Tone Commemorative Bat, one (1) Dodgers World Series Team Signature Bat, and one (1) custom LA Skyline Two Bat Display Rack. Every fan will love adding this set to their collection. These hand-crafted bats are made in America, and look great displayed on any wall in your home or office, but order today before they are gone. Due to the limited nature of this offer we must charge your credit card for the full price immediately upon taking your order. This policy ensures we reserve a bat set for you. We will confirm your order by Email. These bats are not game used. Please allow 4 to 6 weeks for delivery. 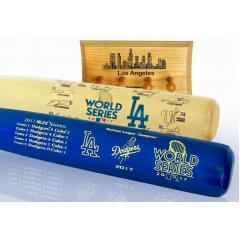 *Due to contractual conflicts, Yasmani Grandal, Charlier Culberson and Logan Forsyth do not appear on the Team Signature Bat.